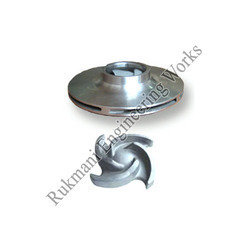 Leading Exporter of pump impellers casting from Coimbatore. Manufacturer, Supplier, Distributor, Trader and Exporter of Pump Impellers in Coimbatore, Tamil Nadu, Karnataka, Andhra Pradesh, Kerala, India, North India. To append and respond to the assorted requirements of esteemed clients, we are engaged in delivering a superior range of Pump Impellers. This range of pump impellers is designed for efficient flow impelling for varied processing requirements in diverse industries. In addition to this, the offered range is split constructed hub designed to ensure its easy installation. We are the leading manufacturers and suppliers of Pump Impellers in Tamilnadu at Coimbatore. Looking for Pump Impeller Castings ?